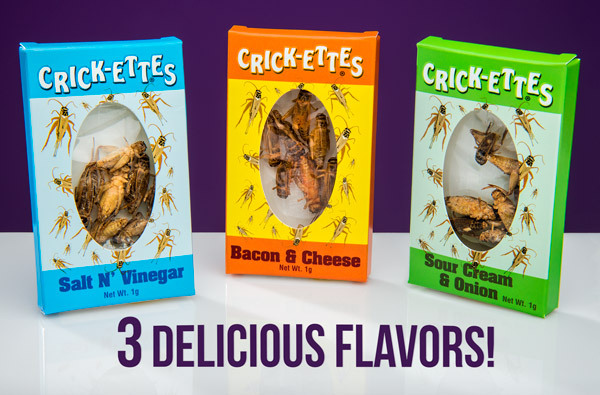 Crick-ettes: Flavored snacks made with real whole crickets. 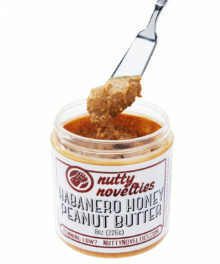 What could possibly convince you to eat bugs (besides a dare at recess)? 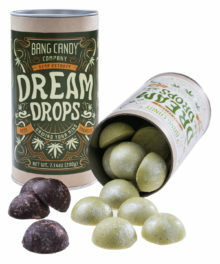 If you knew they were nutritiously protein-packed? A sustainable food source? An exciting culinary adventure? How about if they were seasoned with your favorite spices? Crick-ettes check all the boxes. Also, we triple-dog dare ya! 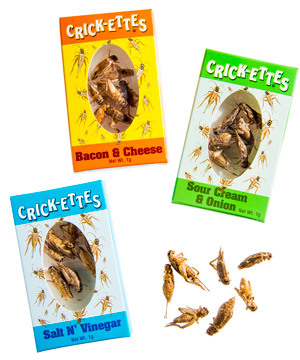 These crispy crickets have been dried and lightly seasoned from antenna to ovipositor with classic snack flavors like salt and vinegar, sour cream and onion, and bacon and cheese. Bon appetit! If you had a tiny embodiment of your moral conscience that wore a top hat and sang, he would tell you to try something new and to eat crickets! 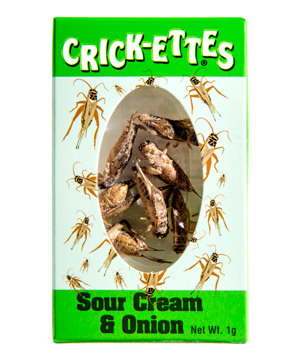 Crick-ettes are a challenge food that have a reputation for disgust (an unfair reputation, after you try them with a dusting of flavored seasoning). 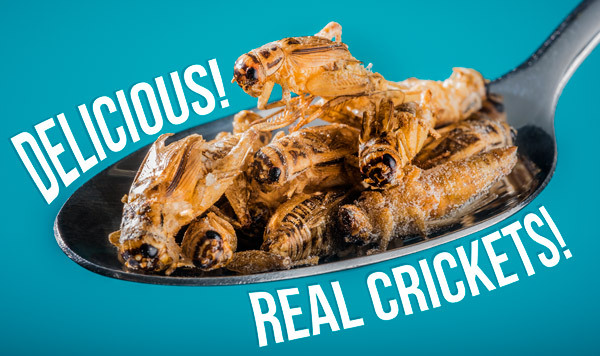 These whole, cooked crickets are lightly seasoned with the kind of flavors you might find in a more ordinary snack like potato chips. 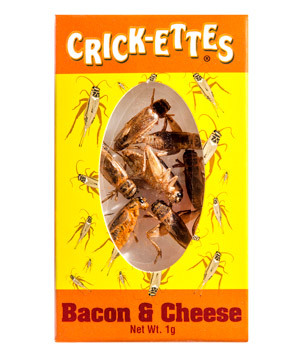 The combination of comfortable and exotic will coax your wild side to take the dare to dine on these crickets. Munch on some grub that's not a grub. Ba-da-ba-ba-da, I'm buggin out! Yes, there are no bones about it—just exoskeletons—these are real crickets. But these aren’t dirty bugs plucked from the backyard; these crickets were raised to be human food for you. Each box contains about seven whole crickets. Real insects can be an exciting challenge food, but the stigma against them could make them tough to swallow. 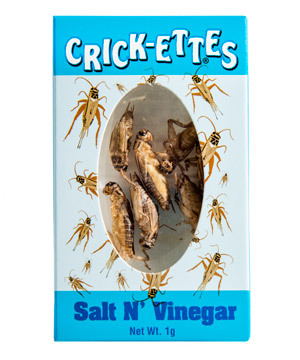 Luckily, Crick-ettes are lightly seasoned with familiar flavors that can ease you into the experience. 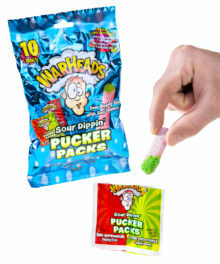 Excite your tongue buds with tantalizing flavors like salt and vinegar, sour cream and onion, and bacon and cheese. 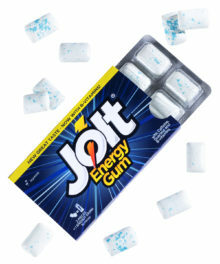 Crick-ettes are available in a variety of flavors. Question: Wait, these aren't real, right? 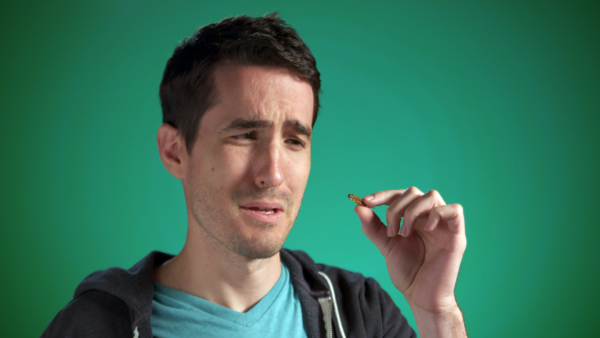 Answer: They are definitely complete, real, edible crickets. 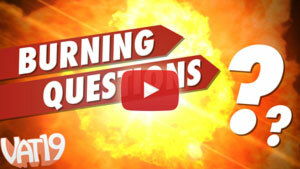 Answer: Because of the way that they've been prepared, Crick-ettes have a crispy texture.